Mock Court Room | Swope, Rodante P.A. As experienced trial lawyers, we are proud of the results we have been able to achieve for clients in the court room. A large part of our success can be attributed to our meticulous preparation. Countless hours are spent preparing for trial and our mock trial room was built with the sole purpose of enabling us to achieve better results for our clients. 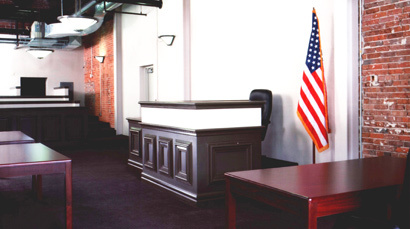 Before a case is brought to trial, our attorneys will utilize our mock trial room to prepare witnesses, to present in front of a mock jury and to hone our overall strategy to be executed in the court room.